Filming will be entering its third month next week. I imagine they'll be wrapping by the third week in August which will leave just four months for completion before it hits theaters in a limited release. Spielberg will probably need to have it ready even sooner, as they'll have to get screeners to SAG members and the Hollywood Foreign Press, as the Screen Actors Guild and Golden Globe Award nominations are usually announced in early December. We know Spielberg has done it before in a short time. He'll do it again. Jeeze I almost forgot to comment on the results of poll #3: Which film would you remove from Meryl's biography? I personally selected The House of the Spirits. The main reason of course is that it's just an awful film. In fact, my friend Scooter and I tried to re-watch it a few years back and had to stop after about twenty minutes because it was so bad. Secondly, the film is a whitewashed version of a book that supposed to take place in South America. The characters are supposed to be Chilean, but half of them are just super white Anglo-Saxon. We could debate for hours the multiple questions and problems that involves, but I tend to be someone who prefers realism in narrative films such as this, and the casting drew me out of the story immediately. Just as many people chose Before and After as did The House of the Spirits, and with good reason. Before and After is arguably a worse film, but House of the Spirits was supposed to be a slam dunk of assembled talent and story. Considering that House had the potential to be a great film and fell so far from that, I had to give it the edge over Before and After, which probably had fewer major problems overall. What should we do for the next poll? Probably just a few more weeks of filming, then they'll have to hit the editing room hard to get this out by the end of the year. Disney teases Emily Blunt in "Mary Poppins Returns"
I realize that this is basically a tease of a tease, in that we don't see any actual footage of the film, but apparently a snippet was unveiled this weekend at the Disney Fan Club Expo (D23), and the audience freaked out. 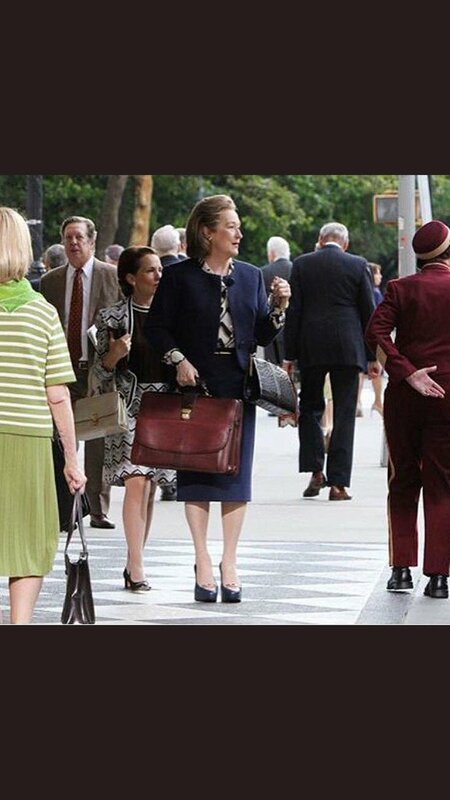 Of course Meryl has a supporting role in the picture, playing Poppins's cousin, Topsy Turvey. The film opens nationwide on Christmas Day, 2018. Streep receives Emmy nomination for narrating "Five Came Back"
Interestingly, Meryl has worked on screen with all of her fellow nominees, with the exception of Lawrence Fishburne. The awards ceremony will be held September 17. I highly doubt Meryl will be in attendance. Multiple sources are now reporting that actress Lily James (Downton Abbey, Cinderalla, Baby Driver) has been cast in the role of 'Young Donna' in the upcoming Mamma Mia! sequel, Mamma Mia! Here We Go Again. Meryl of course plays the original Donna, while the film goes back and forth between past and present. 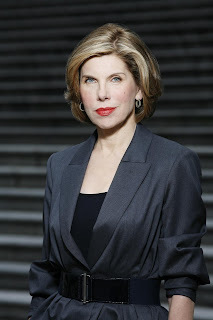 The great Christine Baranski has also confirmed that she'll be reprising her role for the sequel as well. With the quality of cast that has agreed to return and new members joining, I can't imagine that this script is pure crap. As I mentioned before, having Ol Parker at the helm this time around boosts my confidence in this project a bit as well. The one big question remaining is exactly how big of a role is this for Meryl? Will it be half and half present and past? Almost a cameo? Lead role? I'd venture a guess that it's somewhere in the middle. We'll find out soon enough. The film is set for release on July 20, 2018. 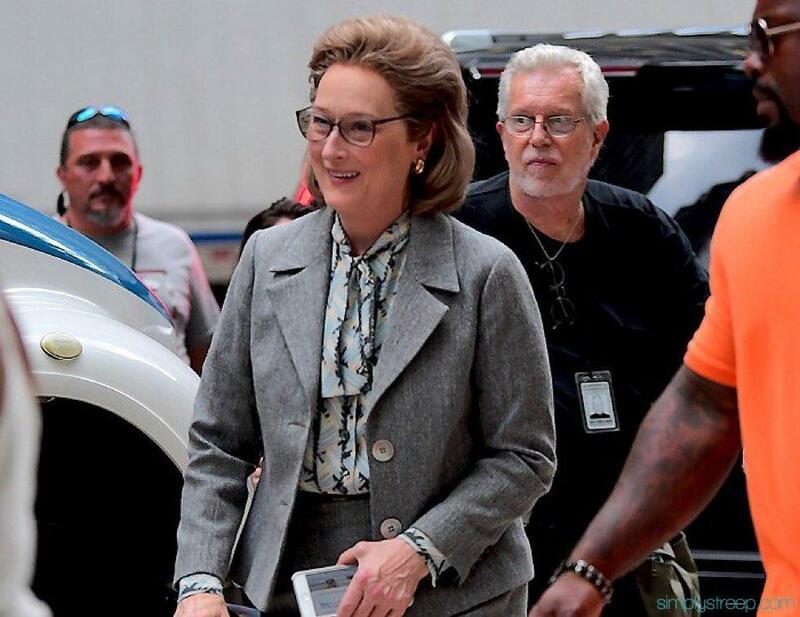 I think the glasses might be Meryl's, but obviously the rest is pure character. There's certainly been a lot of chatter on awards blogs about not only Meryl's role but the entire pedigree of this film. Speculation is that this will contend for Best Picture, Director, Screenplay, Actor and Actress. I want more than anything for this movie to be big deal and of course bring Meryl a lot of acclaim, but the pessimist in me is cautious. We've been in the position before where expectations were super high for a film (see A:OC) and it not delivering in all departments. Here's hoping The Papers is the real thing. 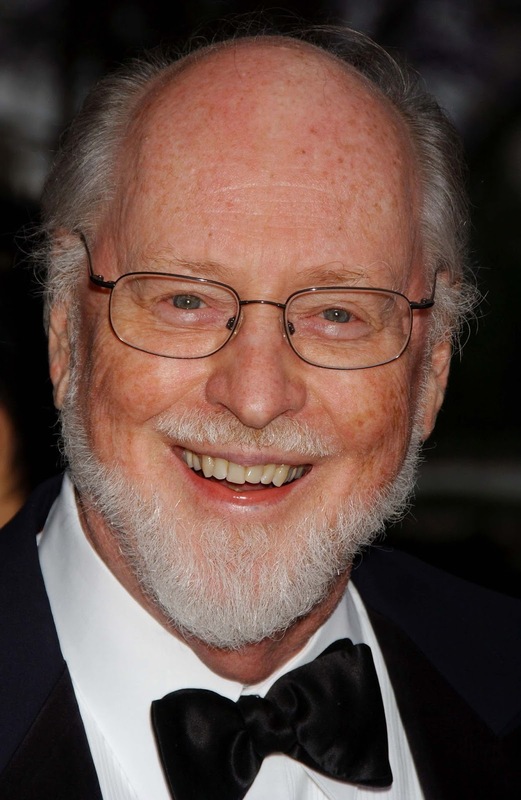 Variety reported yesterday that five-time Academy Award-winning composer John Williams will be writing the score for The Papers. Ready Player One, Steven Spielberg's other film that is currently going through post-production, was apparently going to be scored by Williams, but since The Papers will likely be finishing up within the next month, Allen Silvestri will handle Ready Player One and Williams The Papers. I hadn't realized that Williams worked with Spielberg on all but two of Spielberg's other films. The Papers is shaping up to have everything it needs to in regard to production team and actors to be a huge deal. 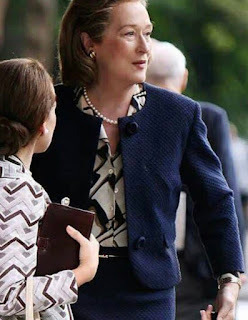 If this goes well, it could be a major boost to Meryl's career. I realize that she already enjoys legend status in Hollywood, but I'm always looking forward to whether or not great scripts get put into production with her involved. Favorable reviews and big box office returns for a film that captures the zeitgeist of the U.S. political climate could very well be the next project to do that for her, a la The Devil Wears Prada. It's exciting. It has been since March of 2014 that I've made an official entry to this blog section. What's prompted the update? Well, over the past several weeks I've been revisiting the list of roles I've kept of characters (whether real people or fictional) I'd love to see Meryl portray. I have a more specific intention for revisiting this list, but I'm not going to get into that quite yet. Suffice it to say that I'll be taking on another fairly extensive Meryl project, not unlike my Reimagined Filmography. More on that in the future. Having the day off from work yesterday for Independence Day, I found myself doing a deep dive of the "rumored projects" section of the Meryl Streep Forum. It was a good review of some things I already knew, but there were many roles or potential projects that I had never heard of! Most of them were indeed simply rumors. Others turned out to be the real deal. One role in particular that she was rumored for, based purely on fan speculation, was a biopic of Brazilian author Clarice Lispector. 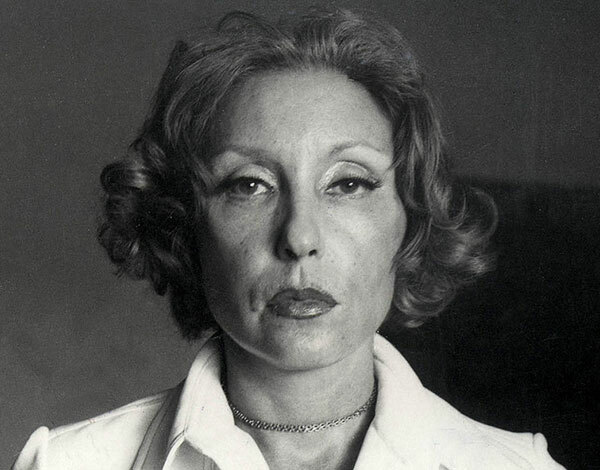 I had never heard of Lispector prior to yesterday. Reading that she was Brazilian quickly made me wonder if it would be appropriate for a white person to portray a Brazilian, but Lispector was actually born to Ukrainian parents (in Ukraine) and emigrated to Brazil as an infant. Of course my mind immediately went to "OMG I wonder what she sounded like?!" So I promptly went on YouTube and watched a portion of the only television interview she ever did, which took place in January of 1977, less than a year before her death, one day before turning 57. Why this character? After reading about her background, life events and personality, and having watched her interview online, she seems like an absolutely fascinating individual. Leaving post-WWI Ukraine with her family as a baby, growing up Jewish, frighteningly intelligent, possibly mental illness, physical impairment (she suffered severe burns on her right hand after falling asleep with a lit cigarette in 1966), death by ovarian cancer at relatively young age. Add that to the aforementioned distinct speech she had (one of Meryl's specialties), and it would be very interesting to see on screen. I couldn't find any info on whether or not she definitively spoke English, but considering she spent a fair amount of time in London and over five years living in the U.S., I imagine she did. American author Benjamin Moser published an extensive biography on Lispector in 2012 entitled Why This World, which I may just have to check out. Perhaps I'll get a better idea of how a feature film would've worked out if one were interested in chronicling her later life.